1PX for Firefox still in development? Is 1PX still being developed for Firefox? It is not available in the account under "Get the Apps". Yes, 1Password X is very much in development for Firefox! I'm not sure why it's not shown in that list and I'll look into that for you. 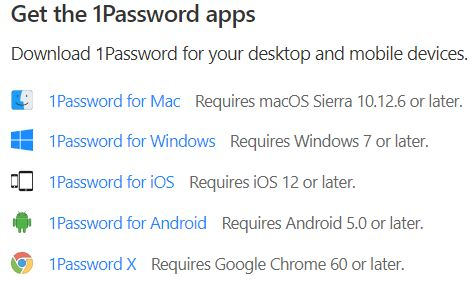 You're quite right, that location under the 1Password account does only mention Chrome for 1Password X. If it helps at all both our Get to know 1Password X and our "Downloads - 1Password" page have links for the Firefox version of 1Password X. I will file an issue to see about adding a link for Firefox under that page as well though so that it is complete. Will 1Password for Firefox be added to the listing?